Flash photography, is simply put using the flash during taking the photo. We all know what a flash does, add light to the scene, thats the nutshell. Good use of flash allows the proper amount of light and also not washing off the colors in a photo. Most common use is during the night time photographs we take. These basic things, we are all aware off, and knowingly or not, we use them every other day. But what do we do, when our subject is backlit, most commonly by sunlight? We take a photo without flash, and we end up having silhouette photos. I, personally, love the silhouette shots, but sometimes, you would like that the subject’s features, expressions too be captured. This is when the flash becomes indispensable. This technique of using the flash is known as “Fill Flash”. Now, in a DSLR, you will have options of how strong you want the flash to be. With use and experience, you shall be able to judge the amount of light your scene needs and other than practice and trial and error, there is no short cut to it. When you go through the options within the flash menu, generally, you ll come across the following options. 1. Normal Flash: This one is the standard issue flash setting. The shutter and the flash are synced and they normally fire simultaneously. 2. Slow sync Flash: This option comes up if you want to depict both motion and also freeze your subject. On the point and shoots, the party mode gives you this option. Here, the flash fires with combination of a slow shutter speed. 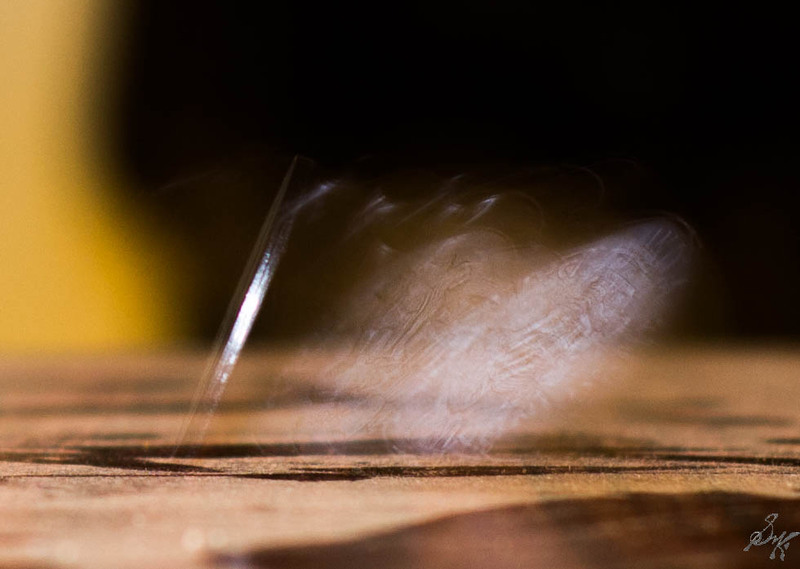 The slow shutter speed gives the option to depict motion, while the flash freezes the subject in sharply. a. Front Curtain: Here, the flash is fired at the beginning of the exposure. Practically speaking, suppose you take the picture of a car moving from left to right using this method, then, the photo will have the car being sharp on the left side of your shot and then the trail of light leading it as the car exits from right. Here I show it with a coin toss! Notice how the falling coin is also captured in the shot. b. Rear curtain: Similarly, here the flash is fired just before closing the shutter. It also does the same job, just from a different perspective. Same car, same direction, same shot, but this time, the car will be sharp in the right side of the photo with a trail of lights in the back. 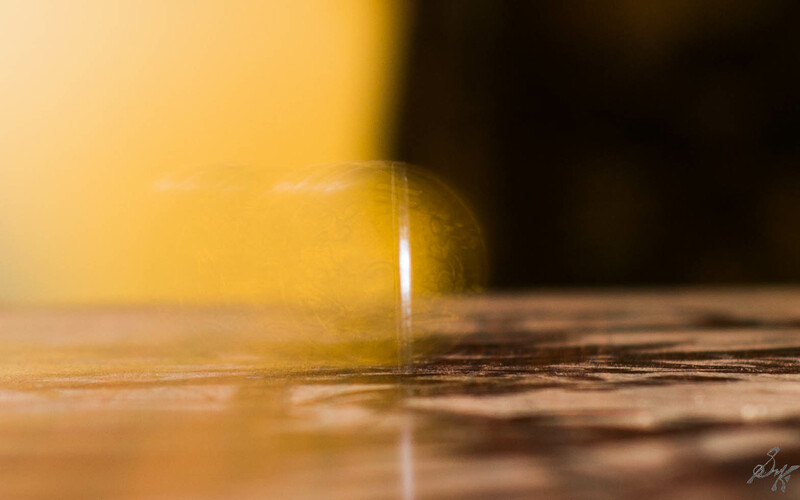 Similar coin toss, but here, you can see it spinning and in the moment the flash was fired, the coin’s motion has been frozen. Flash photography can be used very creatively from making weird blurred backgrounds to eliminating shadow to freezing motion and so on…Go on take the shots and have fun creating stunning effects in the photos right in the camera.